The European eLearning market looks to be in the midst of some big change. I recently had the pleasure of interviewing Thanos Papagelis, Co-founder and CTO at Epignosis, the company behind eFront and TalentLMS. He has years of experience in the elearning market in Europe and was the perfect person to share some insight on what’s happening in the region. 1. Please tell us a little about yourself and your organization. I have been working in the eLearning field since 2001. We started with a small state grant and with the idea of offering a learning service for pupils between the ages of 15 and 17. The original idea was abandoned but the software remained and gradually we grew it to the full-scale learning management system known as eFront today. Through eFront I’ve had the opportunity to work with a number of large organizations and help them achieve their learning goals. 2. How would you describe the state of elearning in Europe today? 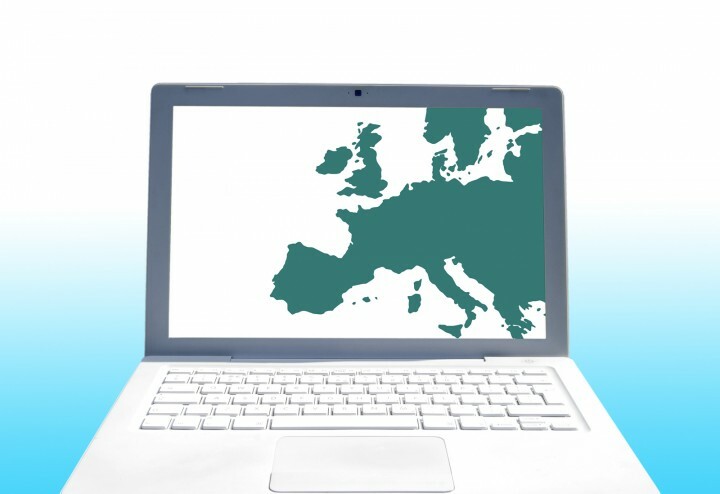 Elearning in Europe is not as widely accepted as it is in say the U.S. or Australia. It is of course a reality for many businesses and educational institutions, but I have the sense that Europeans genuinely do not like it. Culturally speaking, Europeans are notorious for preferring face-to-face methods of communication in all social activities and are used to travelling shorter distances, and this no doubt has effected how willing Europeans are to embrace elearning technologies. 3. Regarding elearning – what differentiates education and the workplace? Businesses have vastly different priorities when it comes to elearning. A business for example must maximize immediate benefits from elearning rather than focus on long-term learning goals because time and money are at stake. They tend to be pragmatic with training, giving emphasis on day-to-day issues, whilst educational institutions emphasize a rather abstract form of learning. For example, the ROI of learning activities is a hot topic in a corporate environment while you rarely see it mentioned in an educational environment. That being said, ROI is difficult to calculate anyway. 4. What characterizes the European elearning market? Tell us how the European market is special/different compared with other elearning markets. There is no real difference in the importance and use of elearning. However, as mentioned earlier, elearning is less readily embraced compared with the U.S. or Australia. That can be seen as either an inherent drawback of the European elearning market or an opportunity. Whilst companies need to be persuaded somewhat to invest time and money in elearning, there has been a recent upswing in investment, a growing interest, and the market is wide open since Europeans to-date haven’t endorsed elearning. 5. What do you think the future holds for elearning in Europe? What is the direction of elearning? The European market will continue to increase in terms of investment and acceptance and will reach a level similar to the U.S. at some point. The market will need to grow faster than the U.S. and Australia to get there and that is inevitable. As we move towards a global culture elearning will become ubiquitous. As for the direction of elearning, I believe that elearning will blend with our everyday activities. We will move away from a pull tactic towards a push tactic, which means that the learning material will be transmitted to end-users, possibly in smaller bits rather than, say, formal learning sessions. I have yet to see such ‘blending’ work in practice, mainly due to a focus from providers on more pressing issues. As it stands today, elearning is a non-standardized project. Each case is different, however, generally you need a lot of customization together with custom content and that consumes a lot of resources from established providers. This makes them slower to adopt breakthrough strategies on new types of tools, and offers ample room for startups to fill the gap! Together with microlearning, I see gamification and personalization playing crucial roles in shaping the new breed of learning tools.